When I came to Lehigh in 1998 there was a sad, sprawling, frankly ugly plant under the stairwell by the printers. With almost no natural light and soil that always looked bone-dry, it produced dinner plate-sized leaves on leggy, light-seeking stems. I suppose it was watered sometime — maybe I did once or twice. As you might have guessed it’s a philodendron — specifically a Philodendron bipinnatifidum ‘Hope.’ And the cultivar ‘Hope’ could not be more apt as it’s pretty much what this plant lived on for twenty years. Finally, this spring, it looked like ‘Hope’ was finally throwing in the towel. 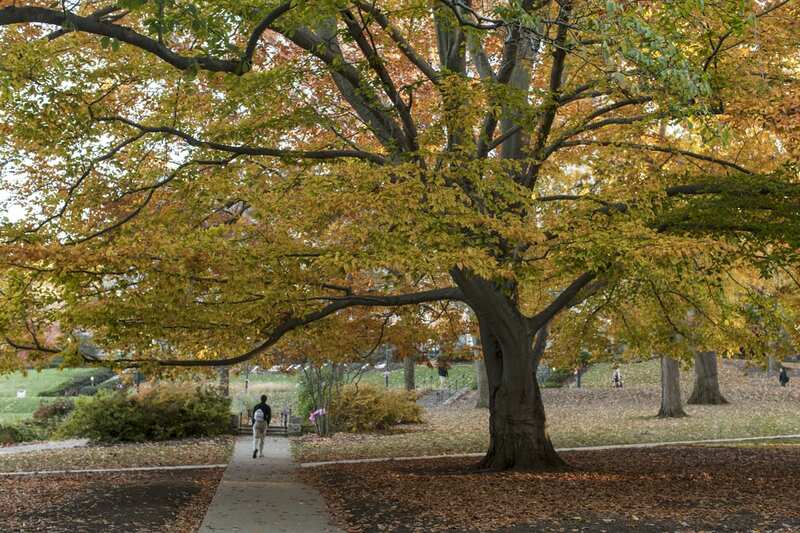 Its leaves started to yellow at the edges, and now it was not just unsightly — it was sickly. I overheard someone talking about removing it. I felt suddenly, weirdly protective. 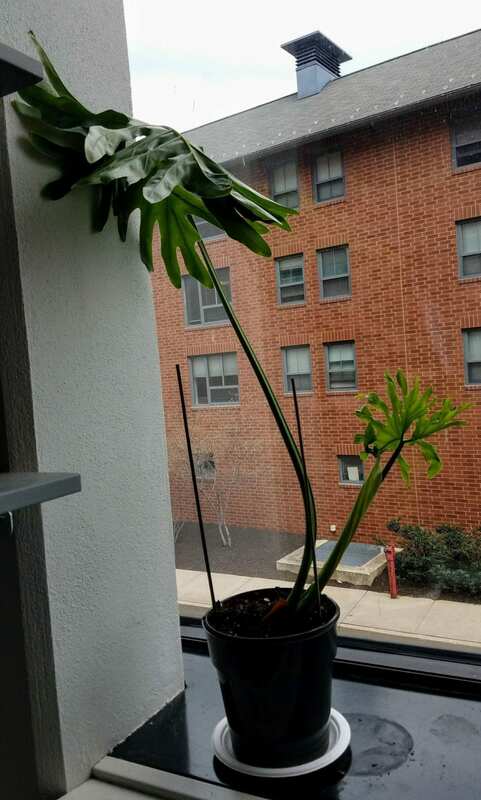 In advance of its death-by-dumpster, I took a cutting of three leaves and part of a woody bulb and planted it in a spare pot. Its prospects seemed dim. Two of the big leaves yellowed and I removed them, waiting for the third and last leaf to follow suit. I watered and fertilized and moved it closer to the window. A week or so ago, it sprouted two new leaves! Now I’m looking for a larger pot to anchor it and hopefully do it justice. Jes doin’ my part to keep Hope alive ;-). 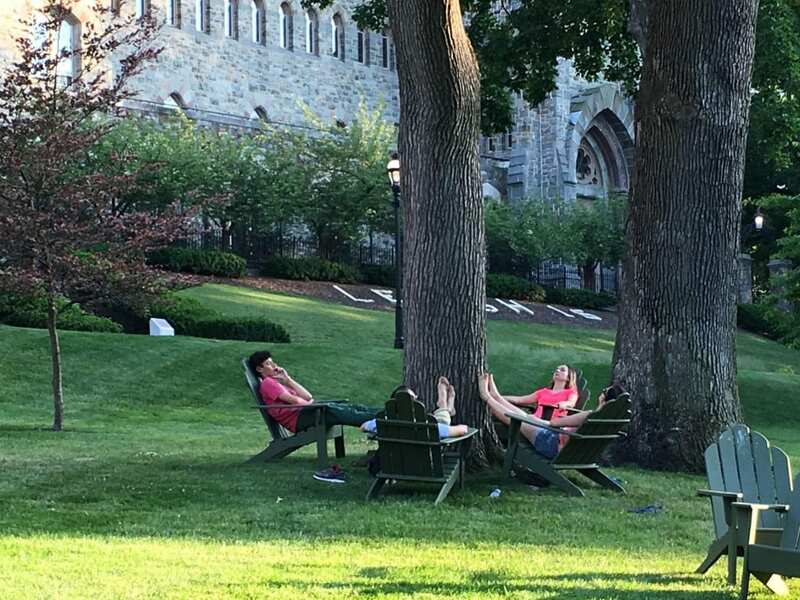 There are tentative plans to have our university arborist provide a short tour of Lehigh’s trees. More info to come! Mark your calendar! Lost Forest 5×10! It will be held Sept 20 at 4:10pm! Sign up at go.lehigh.edu/forest5x10. So I put together an exhibit on Lehigh Green Spaces, and in doing so learned about the lost forest. 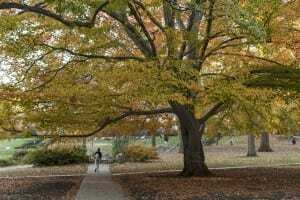 In preparing for the exhibit, and also a series of tours taking place this fall, I found lots of Brown and White articles on Lehigh trees and such — they’re on Pinterest under Lehigh Green Spaces.